If you think about to open a offshore company in British Virgin Island (BVI), most like you will chose International Business Company (IBC). Here is a few informations concerning the main facts about British Virgin Island’s company. ; while Internet trading and IBC will give you full advantage to use BVI taxation. One of the most typical nature of business are; sales, export ( without a lading in your country of residence), marketing, web development, software, training, supply of financial services and many others. Not only services though, physical goods might avoid a permanent establishment (taxable presence) altogether in many high-tax jurisdictions. answer your questions: How, where, when and what?! 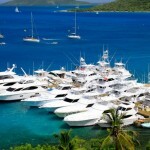 If you are about to open up a bank account in BVI visit our websites!